1.1 These terms and conditions define the governance, initiation and operation of an Innovative Finance ISA (“IF ISA”) with WiseAlpha Technologies Limited (“WiseAlpha”). All parts of this agreement apply to the IF ISA, except to the extent that they are inconsistent with or modified by these IF ISA Terms or the IF ISA Requirements. 1.2 The WiseAlpha ISA enables eligible IF ISA Investments in accordance with the ISA regulations to be held within a tax efficient savings account. Only Eligible IF ISA Investments available through the WiseAlpha Platform can be held in a WiseAlpha IF ISA. 1.3 WiseAlpha Technologies Limited (FRN: 751087) is authorised and regulated by the Financial Conduct Authority in the UK. WiseAlpha Technologies Limited is a company registered in England, with its registered office at Level 39, One Canada Square, Canary Wharf, London E14 5AB (Company No. 08967521). WiseAlpha has the authority to act as an ISA Manager has been granted and our HMRC reference is Z2018. 1.4 WiseAlpha do not provide investment advice, legal advice or tax advice. In particular, we will not assess the suitability of an investment in light of your personal circumstances and you are responsible for making your own investment decisions. If you are in any doubt as to your own personal circumstances, you should seek such advice from an appropriately qualified professional. 1.5 We will not facilitate investment where we are aware that it is illegal, although it is your responsibility to ensure that you have complied with any relevant legal or regulatory restrictions that would prohibit you from investing. (b) The Terms and Conditions are materially amended and it is no longer reasonable or possible for WiseAlpha to operate the IF ISA on your behalf. 2.2 You confirm the appointment of WiseAlpha as your IF ISA Manager for your IF ISA entitlement and authorise WiseAlpha to undertake the associated and necessary functions in accordance with these IF ISA Terms and Conditions. 2.3 In the event that an associate is appointed and substituted as IF ISA Manager we will notify you 30 days in advance. The appointed substitution will either manage the IF ISA in accordance with these IFSA Terms and Conditions, or notify you of any changes to the IF ISA Terms and Conditions. Any person to whom this responsibility would be delegated under the IF ISA Terms and Conditions will meet the satisfaction of WiseAlpha to be competent to carry out those functions and responsibilities. 2.4 The bank account into which you will pay your funds into is a client money account operated by Global Custodial Services (“GCS”). GCS is authorised and regulated by the Financial Conduct Authority under firm reference number 595875. The client money account is held with Santander UK Plc who are authorised and regulated by the Financial Conduct Authority under firm reference number 106054. 2.5 GCS shall maintain the client money account in accordance with applicable FCA rules. It shall treat you as its client in relation to the operation of the client money account, but it shall not be responsible to you for the provision of any other services under these Terms and Conditions. 2.6 No interest is payable to you on money held in this account, although GCS may receive a fee representing interest on it from its bank. If the fundraising target is met and the investment goes ahead, investments issued by the Issuer will be allocated to you, equal to the entire amount or a fraction of the amount of subscription which you requested. We may take over the operation of the client money account or appoint another third party to do so, at any time provided that the account holder has all necessary regulatory permissions to do so, in such circumstances we shall notify investors accordingly. (d) hold a valid National Insurance Number (“NINO”), or provide confirmation that you meet the HMRC approved exceptions. (f) In accordance with 5.1(e), if you no longer qualify as a UK resident, or expect to be Non- UK resident in the future we must be immediately notified in accordance with section 6 (UK residency). (c) You have understood that investments into your IF ISA are subject to risk and loss and that you accept full responsibility for this. 3.3 Should any of the aforementioned circumstances change during the lifecycle of your ISA you must notify us immediately, whereupon further documentation or evidence may be required. 3.4 The Agreements within your IF ISA will be, and must remain in, your beneficial ownership as an IF ISA Investor and must not be used as security for a loan. 3.5 Any documents evidencing your title to the IF ISA investments will be held by us or as we may direct. 4.2 If you no longer qualify as UK resident, or expect to become non-UK resident at a future date, or have ceased to perform duties as a Crown employee serving overseas, or have ceased to be married to, or in a civil partnership with, such a person as specified in section 3.1(e), you must notify us as soon as possible by email or in writing. 4.3 In accordance with section 13 (Invalid and Void subscriptions), should you cease to be a valid UK resident, and have already subscribed to your IF ISA within the same tax year then your current subscription will cease to be valid and will be cancelled. You confirm agreement that we have authority to act in accordance with section 13. 4.4 If this is a temporary change in circumstances and you become a UK resident later in the tax year, and qualify as UK resident for the entire tax year (in accordance with HMRC regulations) you may be able to re-subscribe your allowance. UK citizenship qualification is declared for the full tax year. We can assist you in determining qualification. (c) Transfer out to another ISA Manager. 4.6 You will accept full responsibility for determining your status as a UK citizen. In the event that you cease to be UK resident, but subsequently qualify as a UK resident again within the same tax year, you may not be permitted to make an IF ISA Subscription again until the next tax year. However, in accordance with HMRC regulations, should you qualify as a UK citizen for the duration of the tax year you will be able to re-utilise your IF ISA allowance. 4.7 Should you inform us of non-UK residency retrospectively then the tax year when non- residency status occurred will become invalid for IF ISA Subscriptions. Any Subscriptions made within that tax year will be removed, regardless of your current residency status. You will not be able to transfer to another ISA Manager and must liaise with HMRC to determine the tax implications of your withdrawn IFSA. 5.1 The ISA allowance for an IF ISA, and combination of Stocks and Shares and Cash ISAs, is variable each tax year and may increase in subsequent tax years. Our subscription process will ensure you cannot over-subscribe to the IF ISA held with us. This is on the proviso that you do not subscribe with another IF ISA provider or exceed the allowance available with a Stocks and Shares or Cash ISA. 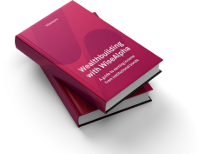 5.3 The minimum initial subscription amount for with WiseAlpha is £100. Please be aware that some ISA Managers will stipulate a minimum subscription amount, which should be allowed for if dividing among the aforementioned components. 5.4 We can only accept subscriptions via electronic transfer. 5.5 Once the funds are credited to your ISA this will be regarded as a utilisation of your ISA subscription allowance. 5.6 If you subscribe on the last working day of the tax year, 5th April or the next working day if this falls on a weekend or public holiday, if the funds are cleared in our receiving bank account then this will count towards your IF ISA Subscription for that tax year. Please do not attempt to pre-pay funds for the next tax year, or combine both tax years in one payment. 5.7 It is your personal responsibility to ensure that you do not exceed your ISA Subscription limit for the tax year, either with us or as part of a combination with other ISA Managers. As we do not have access to your external subscription activity we cannot monitor your overall subscription for the tax year. If you do over-subscribe between the components this will be discovered as part of HMRCs annual subscription checks. (c) In the event you have a general account we may credit the excess to that and contact you to notify you of your options. 6.1 All un-invested cash shall be treated as “client money” for the purposes of the rules of the Financial Conduct Authority (FCA). 7.1 As well as your permitted ISA subscription allowance, you also have the option to transfer in existing ISA money held with another ISA Manager to your IF ISA held with us. ISA transfers can only be enacted in cash, this will mean if you are transferring in investments from your Stocks and Shares or IF ISAs the investments must first be sold. 7.2 The transfer of ISAs to us must be administered by us. Upon receipt of your request to transfer, we will contact the existing ISA Manager on your behalf. It is very important that you do not remove any funds yourself as this could result in the loss of the ISA. (e) A combination of (b) and (c) and (d). 7.4 If you wish to transfer current year subscriptions, you cannot transfer part of the year as this would violate the ‘one ISA of one type’ rule. 7.5 Residual income may arise as the result of a Stocks and Shares ISA transfer. These will be periodic payments arising from additional dividends, tax credits, corporate actions or interest on cash on deposit. You have the option to either transfer the proceeds directly to your IF ISA, or you can choose to have the payments paid directly to your nominated bank account, directly from your ceding ISA Manager. Some ISA Managers may only have the option to remit the proceeds directly to you. 7.6 If you choose to transfer current year subscriptions to us then we will assume ownership of the IF ISA for the tax year and report statistical information to HMRC. 7.7 Should the preceding ISA Manager operate a flexible ISA, and withdrawals have been made and not replaced within the current tax year, the flexible option will be lost and you will enter a new IF ISA agreement with us based on a combination of the value of the funds received and ISA Subscriptions you have made with us. 7.8 Should the transfer comprise a Cash and/or Stocks and Shares ISA this will now be held in the IF ISA component. This will then mean that, assuming you have not subscribed the maximum of your ISA allowance, you will be able to subscribed the remainder of your allowance to us or a Cash or Stocks and Shares ISA Manager. 7.9 If you are transferring in an IF ISA that has current year subscriptions, these will now be held with us. If there is an unused remaining balance you will be able to complete the subscription with us once we are in receipt of the transfer proceeds. 7.10 If, through the process of the transfer, we discover from the ceding ISA Manager that you have transferred with them and with us we will contact you accordingly to talk you through the process of repair. 7.11 Both the ceding and receiving ISA Managers are subject to HMRC regulations regarding an ‘acceptable time period’ to complete transfers. Due to circumstances beyond our control, a transfer may take longer as a result of the ceding ISA Manager’s process and events. In this event, we will monitor the process and escalate the issue to ensure a satisfactory resolution. We may update you if this becomes unreasonable or threatens the integrity of your IF ISA. We will not be held responsible for any delay to the transfer where this is due to a matter that we cannot reasonably control. 7.12 Ceding ISA Managers are bound by HMRC Regulations to send us a transfer history form detailing the ISA specifics within 30 days of the transfer. In the event that this is not received we will escalate the issue to ensure a satisfactory resolution. We may update you if this becomes unreasonable or threatens the integrity of your IF ISA. 7.13 Where a transfer in has been requested from a Stocks and Shares ISA Manager, and the ISA holds units or shares in a UK UCITS, a non-UCITS retail scheme, or a recognised UCITS, dealings in which have been suspended in accordance with COLL 7.2 (or any direct foreign equivalent), the minimum period specified by the manager may be extended to 7 days after the suspension ends. 8.1 WiseAlpha does not accept partial transfer out of funds and a full transfer must be initiated to transfer out your IF ISA to another ISA Manager. 8.2 An administration charge of £50, per transfer request, will be debited from the cash proceeds of the transfer. 8.3 The transfer of your IF ISA must be administered by your existing ISA Manager. You will be required to complete your new ISA Manager’s paperwork and any additional requirements they may have. They will then liaise with us directly. It is very important that you do not remove any funds yourself as this could result in the loss of the ISA; dependent on the agreement between us and your new ISA Manager. 8.4 Upon receipt of your new ISA Manager’s acceptance, and your transfer request, we will contact you by e-mail and you will be required to confirm your instruction to transfer via the website. 8.5 If you wish to transfer your ISA to another ISA Manager, the transfer must be made in cash. You cannot transfer your investments. 8.6 Should your ISA not hold the funds in cash you will be required to request the sale of your investments via email notification to WiseAlpha. The sale of your investments within the IF ISA will be upon the absolute discretion of WiseAlpha. Whilst WiseAlpha will commit reasonable endeavours to sell your investments this cannot be guaranteed and you may have to wait until the investment reaches maturity prior to transferring out. 8.7 If your transfer consists of current year IF ISA Subscriptions held with us then the Subscriptions will now be held by your new ISA Manager and they will report statistical information to HMRC. 8.8 If you are transferring current year subscriptions held with us to your new ISA Manager, these will now be held with them. If there is an unused remaining balance you will be able to subscribe with them once they have received the proceeds and subject to their own Terms and Conditions. 8.9 Both the ceding and receiving ISA Managers are subject to HMRC regulations regarding an ‘acceptable time period’ to complete transfers. In the case of an IF ISA transfer we are bound to complete the transfer within 15 days of the sale of your investment contracts being converted to cash. If, due to circumstances beyond our control, we are unable to fulfil this permitted time period we will contact you and your new ISA Manager and will endeavour to resolve the situation as quickly as possible, and ensure the transfer is enacted as a priority. 8.10 We are bound by HMRC Regulations to send a transfer history form detailing the ISA specifics to your new ISA Manager within 30 days of the transfer. If, due to circumstances beyond our control, this is not sent or received we will treat the matter as a priority and ensure this is resolved as quickly as possible. 9.1 You will not be charged fees for the general maintenance of your IF ISA. 9.2 We may introduce fees in respect of new services and increase our fees in respect of making new investments, provided that we give you at least 30 days’ written notice of the introduction or increase in such fees. 9.3 All fees are exempt from VAT. 9.4 If we do charge fees to you directly, our fees will be taken from your IF ISA account by default. 10.1 The WiseAlpha IF ISA is not flexible and therefore you cannot withdraw some or all of the available cash on your IF ISA at any time unless you transfer out. (b) We have already received the cash from an ISA transfer in from another ISA Manager. You can request a cancellation by e-mailing us on IF ISA@wisealpha.com or writing to our correspondence address. Please note that this will cancel your IF ISA account, but your right to cancel any investments held within it will be governed by the WiseAlpha Terms and Conditions. 11.2 When your account is cancelled any cash will be paid out to you in accordance with the WiseAlpha Lender Terms and Conditions. 11.3 Should you choose to cancel your IF ISA within the cooling off period then the IF ISA will be treated as if it had not been opened and will not be included as part of our IF ISA statistical reporting to HMRC. You will then be able to replace your ISA allowance into an ISA held with another ISA Manager, or subscribe with us later in the tax year; subject to a new agreement. 11.4 If you have subscribed to your IF ISA during a tax year and then close the account, you will not be able to re-open the account with us during the same tax year. 11.5 If we close your IF ISA, any cash credited to your account will be paid to you in accordance with the WiseAlpha Lender Terms and Conditions. (d) You are subject to a court order or administration or declared insolvent or bankrupt. 13.1 Should the overall subscription amount for the tax year be exceeded, or there is an invalid combination of subscribed components, and it is discovered by us, we will attempt to repair the subscription where it is possible; in accordance with HMRC ISA regulations. 13.2 Should the subscription breach not be repairable the subscription will be subject to the partial of full void HMRC process. In some cases this may affect the entire ISA. 13.3 For any subscription that has been subjected to a void declaration, tax free entitlement may be partially or fully removed and could be subject to income tax. 13.4 We will notify you if, by reason of any failure to satisfy the provisions of the ISA Regulations, your IF ISA subscription has, or will, become fully or partially void. We will liaise with you to decide the best course of action for you. 13.5 The invalid IF ISA subscription will be transferred to your non-IF ISA account, if applicable, and the cash proceeds will either be paid directly to you or moved to your non-IF ISA account. 13.6 You agree that we are authorised to take the relevant action to either repair a subscription or void an invalid Subscription. We cannot transfer the proceeds directly into your current year subscription, the proceeds must leave the ISA environment. If you do wish to utilise your current year allowance the funds may be sent back to us once you have received the void proceeds. 13.7 Should HMRC decide that a repayment of tax is due to them on the proceeds of the void, you will be held responsible and accountable for this payment. We will provide you with a statement of affairs, this will provide you with all the details you need to confirm to HMRC and the remittance of any refunds due to them will be agreed between you and HMRC. 13.8 If you discover that you have over-subscribed for the current or previous tax year, or that you have broken the IF ISA regulations regarding subscriptions, you must notify us as soon as possible. In some cases we can contact HMRC on your behalf and investigate further. 13.9 You must not attempt to repair or void a subscription breach yourself as you may not be in possession of the full facts, and could be unnecessarily voiding your subscription and may not be repairing the issue. There may also be further considerations and consequences to take into account. In all circumstances please contact us and we will advise you of the correct process. 13.10 If we are notified by HMRC to partially or fully repair, or partially or fully void your ISA, we will assume responsibility for this process and notify you of the action taken. HMRC will have already contacted you prior to a void or repair before they notify us. Should you receive a letter of discover from HMRC please contact us as soon as possible and we can assist you. (e) Other activity considered to be a violation of HMRC regulations. 14.1 Should you pass away your savings can continue to benefit from the tax advantages of an IF ISA during the administration period of your estate. Any interest, dividends or gains in respect of investments in a continuing account of a deceased investor that arise (which in general terms means ‘paid’) after the date of death to the date of closure of the IFISA are exempt from tax. 14.2 Your IF ISA will be valued for probate as at the date of death. 14.3 Upon discovery we will freeze the IF ISA and, when we are in receipt of a certified copy of the death certificate, we will sell the investments in the IF ISA and transfer the cash proceeds to your non IF ISA account with WiseAlpha. (c) A copy of the Last Will and Testament is required for estates with only one executor. 14.5 All named executors on the Grant of Probate must confirm their acceptance of the appointed representative’s instructions. 14.6 In the event of your bankruptcy, ISA tax exemption will no longer apply from the date on which a trustee is appointed to manage your estate. 14.7 In the event of your bankruptcy, we will seek to sell your investments, close your IF ISA and pay the money on the instructions of the trustee in bankruptcy. 15.1 Should a spouse, or partner in a civil relationship, pass away and hold an ISA with us or another ISA Manager then the allowance can be utilised and added to your ISA allowance. 15.2 If the IF ISA is held with us, we will sell the IF ISA investments, in accordance with the conditions set out in section 14 (Death or bankruptcy) and your instructions, and remit the entire proceeds to your existing IF ISA. This will then form part of your ISA. 15.3 If the ISA is held with another ISA Manager, upon receipt of the documentation specified in section 15 (death of an investor) and your instructions, we will transfer the cash valuation balance of the ISA. The balance will be taken from a valuation as at date of death and the proceeds will then be transferred to us as per the process defined in section 7 (transferring an existing ISA to WiseAlpha). If the proceeds differ from the valuation provided, you will be able to deposit the deficit into your ISA from your own funds. 16.1 In accordance with HMRC Regulations, we are required to report details of all IF ISA Subscriptions and the personal details of our IF ISA Investors to HMRC on an annual basis. 16.3 You acknowledge and agree that your details will be submitted and that we will not require any further authorisation from you to release this information. 16.4 HMRC may contact you directly as a result of our submission for further clarification regarding missing, incomplete or incorrect details. You acknowledge that you will provide this information and assist them if required. 17.1 We may, at any time, change the IF ISA Terms and Conditions by giving you written notice via e-mail. Such amendments will take effect on the date specified in the written notice. For the avoidance of doubt, these changes may impact our fees and charges, or the level of service provided. Any amendment that adversely affects you will not apply to sums already invested, but will apply to re-investment of the proceeds after the end of any term applying to the initial investment. 17.2 We may amend these IF ISA Terms and Conditions if we believe it necessary in order to respond proportionally to changes in law and regulations. 17.3 We may also amend the IF ISA Terms and Conditions to reflect changes to our systems, administrative processes and procedures, market practice or client requirements and to reflect other legitimate cost increases (or reductions) associated with providing your IF ISA. 17.4 You will be given at least 30 days’ notice in respect of any changes to these IF ISA Terms and Conditions that adversely affect you unless the specific circumstances require a shorter or longer period. Any amendments will comply with any applicable laws and regulations. 18.1 The management of your IF ISA Account will be subject to the ISA Regulations. Any changes made by HMRC to the ISA Regulations that affect these terms will apply as soon as they come into effect. 18.2 We will inform you if your IF ISA Account has, or will, lose its tax exemption through any failure to meet the ISA Regulations. If an investment which was previously allowed under the ISA Regulations ceases to be allowed, we will notify you and request your instruction to either sell the investment and reinvest the proceeds in the account or transfer it out of the account. 18.3 These IF ISA Terms and Conditions are based on our understanding of current law and HMRC’s practice as at March 2019. These may change in the future and the favourable tax treatment of ISAs may not be maintained. 19.1 These Terms and Conditions are governed by, and to be construed in accordance with, English law. In the event of any matter or dispute arising out of, or in connection with, these Terms and Condition, you and we shall submit to the exclusive jurisdiction of the English courts. 19.2 If any of these Terms and Conditions is found to be illegal, invalid or unenforceable by any court of competent jurisdiction, the remainder shall, so far as possible, continue in full force and effect. No single or partial exercise, or failure or delay in exercising any right, power or remedy by us shall constitute a waiver by us of, or impair or preclude any further exercise of, that or any right, power or remedy arising under these Terms and Conditions or otherwise. 19.3 We may exercise any of our rights or discharge our obligations under these Terms and Conditions in our capacity or through any company or other legal entity which has all relevant legal authorisations, licences or permissions to discharge those functions.